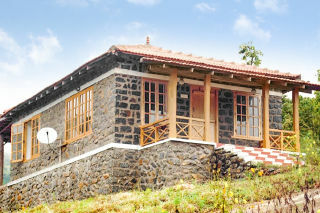 Set amidst exuberant greenery, this is an offering of a cottage, which can accommodate up to four people. Situated 100 m from Sholai Waterfalls, this accommodation is suitable for leisure travellers. Parking space is available for those on a road trip. Your Space Surrounded by verdant valleys and dense foliage, the cottage on offer promises a comfortable stay. Sporting an exposed stone façade, the cottage exudes charm. The rustic theme continues inside with exposed stone walls. A plush sofa set and a coffee table are provided where you can lounge with your companions. A flat-screen television is appointed so that you can keep up with your favourite shows. The recreational space has a TT table, a pool table, a carom board, and a foosball table to keep you occupied. The bedroom sports a wood-panelled floor and houses a comfy double bed for a restful stay. The well-tiled bathroom is equipped with western sanitary ware. Places to visit - Kurinji Andavar Temple - 18.6 km. Coakers Walk - 19.9 km. Kodaikanal Lake - 21.0 km. Kurinjiandavar Temple - 18.6 km. Dolphin’s Nose - 25.7 km. Bryant Park - 19km. 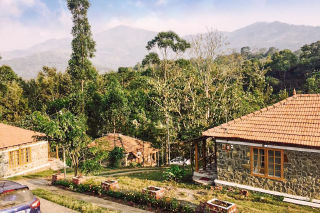 Kodaikanal Solar Observatory - 21.9 km. Green Valley View - 24.6 km. I like to start with the pros...the resort as such is beautiful, nice landscape, pretty cottages. Food is awesome. Staff is attentive and helpful. Sleep quality fantastic. It was peaceful. Now for the cons: This place is not exactly in Kodaikanal as described. 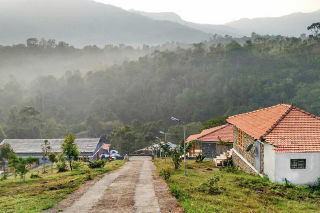 It's about 20 km down Palani road from the first junction you hit before reaching the kodaikanal toll gate... It's about 6 km down palani road then a steep left down 8 km long !!! of nasty government ignored road... to get down to the resort...which is at a dead end. Once you are there the experience is better. 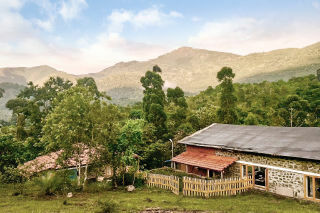 This place is ideal for college students or just partiers.. who want a bonfire or a resort like experience not if you have a day to sightsee in Kodaikanal. It's just a tedious stomach churning drive. Having said that I would recommend taking their jeep ride.. The ride is much tolerable in that. As for the cottage please request bathroom accessories thro' room service prior to arrival.. It's in the middle of a forest so expect some bugs. Our stay was perfect, the stay was very comfortable. 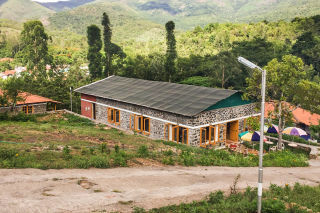 The property is surrounded admist the nature. 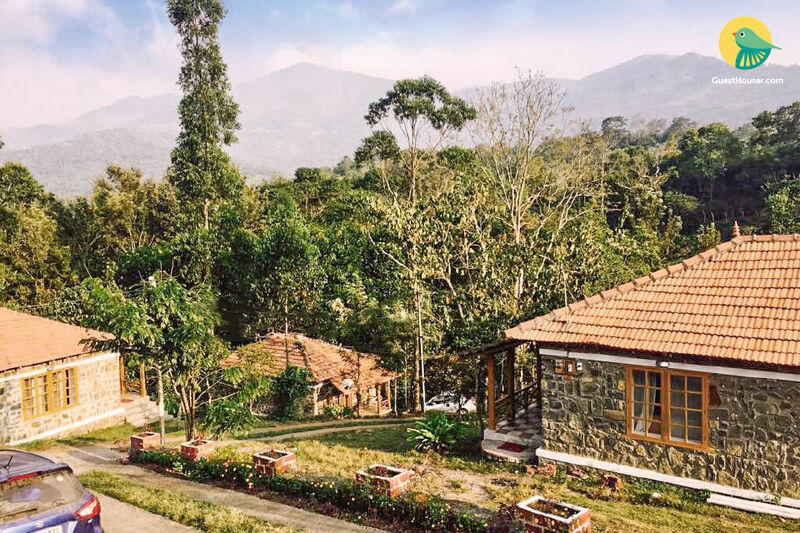 We were able to find the location of the property with the help of the manager because he guided us for the location as soon we reached Kodaikanal. The food(though not included in the price) was also good. Great services, good job Guesthouser!! This place was so good that I could have stayed here for much longer. The room was great, clean, comfortable and chic. The host was very helpful and helped me with the places that I shouldn’t miss visiting. The staff was courteous and the food great. Overall, it was an amazing, value for money experience. Great....our experience was really nice , we enjoyed the trip and guesthouser gave us amazing stay at the last moment, services were nice and also the locality with the rooms and staff, great help from guesthouser staff. Awesome...awesome...awesome...property is located at a very nice location. Very good hospitality...Had a great time over there.. I would recommend more people to go there....Just 10 on 10!!! Good property , all facilities, good host , good services, nice locality , we would surely book few more accomodations with guesthouser soon. Hai tis s hariharan tis property was nice place to relax Good customer care Good dining good locality. Overall it's worth for money. Perumalmalai Bus Stop - 8.7 km.